Note: This committee transitioned from a Senate Select Committee to a Standing Committee during the 82nd Session interim. May 19, 2011 (Part I, Part II) – Part II is audio only. May 5, 2011 (Part I, Part II) – Part II is audio only. the need to codify or clarify existing Attorney General opinions. Review record retention policies for state and local governments and make recommendations for improvements to record retention schedules and policies, including e-mail retention and archiving requirements. Consider the benefits and disadvantages of creating a uniform record retention policy. Study ways to define and address frivolous and/or overly-burdensome open records requests. Include an analysis of appropriate cost recovery by governmental entities for expenses and time related to responding to requests, while ensuring the public has adequate access to public information. 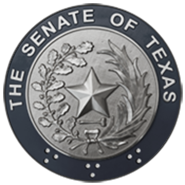 Monitor the implementation of legislation addressed by the Senate Select Committee on Open Government, 82nd Legislature, Regular and Called Sessions, and make recommendations for any legislation needed to improve, enhance, and/or complete implementation.